It's difficult to find a country performer who has moved from her country roots to international fame more successfully than Dolly Parton. Her autobiographical single "Coat of Many Colors" shows the poverty of growing up one of 12 children on a run-down farm in Locust Ridge, Tennessee. At 12 years old, she was appearing on Knoxville television; at 13 she was recording on a small label and appearing on the Grand Ole Opry. Her 1967 hit "Dumb Blonde" (which she's not) caught Porter Wagoner's ear, and he hired Parton to appear on his television show, where their duet numbers became famous. By the time her "Joshua" reached number one in 1970, Parton's fame had overshadowed her boss', and she had struck out on her own, though she still recorded duets with him. During the mid-'70s, she established herself as a country superstar, crossing over into the pop mainstream in the early '80s, when she smoothed out the rough edges in her music and began singing pop as well as country. In the early '80s, she also began appearing in movies, most notably the hit 9 to 5. Though her savvy marketing, image manipulation — her big dumb blond stage persona is an act — extracurricular forays into film, and her flirtations with country-pop have occasionally overshadowed her music, at her core Parton is a country gal and a tremendously gifted singer/songwriter. Among her classics are "Coat of Many Colors," "Jolene," "Kentucky Gambler," "I Will Always Love You," "But You Know I Love You," and "Tennessee Homesick Blues," and they give a hint as to why her contribution to bringing country music to a wide audience, not only in America but throughout the world, cannot be underestimated.The fourth of 12 children, Parton was born and raised in Locust Ridge, Tennessee, just next to the Smoky Mountains National Forest. Parton's family struggled to survive throughout her childhood, and she was often ridiculed for her poverty, yet music soothed their worries. 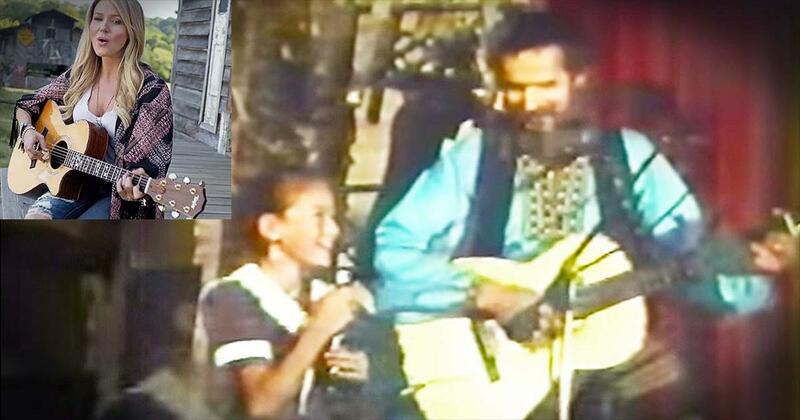 Though her farming father did not play, her half-Cherokee mother played guitar and her grandfather, Rev. Jake Owens. was a fiddler and songwriter (his "Singing His Praise" was recorded by Kitty Wells). When she was seven, her uncle Bill Owens gave her a guitar, and within three years, she became a regular on WIVK Knoxville's The Cas Walker Farm and Home Hour. Over the next two years, her career steadily increased, and in 1959 she made her debut on the Grand Ole Opry; the following year, she recorded her first single, "Puppy Love," for Goldband.When she was 14 years old, Parton signed to Mercury Records, but her 1962 debut for the label, "It's Sure Gonna Hurt," was a bomb, and the label immediately dropped her. Over the next five years, she shopped for a new contract and did indeed record a number of songs, which were later reissued through budget-line records. She continued to attend high school, playing snare drum in the marching band. After she graduated, she moved to Nashville where she stayed with Bill Owens. Both songwriters pitched songs across Nashville with no success, and Parton began singing on demos. Early in 1965, both Parton and Owens finally found work when Fred Foster signed them to his publishing house, Combine Music; Foster subsequently signed her to Monument Records. Parton's first records for Monument were marketed to pop audiences, and her second record, "Happy, Happy Birthday Baby," nearly made the charts. In 1966, Bill Phillips took two of Parton's and Owens' songs — "Put It Off Until Tomorrow" and "The Company You Keep" — to the Top Ten, setting the stage for Parton's breakthrough single, "Dumb Blonde." Released early in 1967, the record climbed to number 24, followed shortly afterward by the number 17 "Something Fishy. "The two hit Monument singles attracted the attention of country star Porter Wagoner, who was looking to hire a new female singer for his syndicated television show. Parton accepted the offer and began appearing on the show on September 5, 1967. Initially, Wagoner's audience was reluctant to warm to Parton and chanted for Norma Jean, the singer she replaced, but with Wagoner's assistance, she was accepted. Wagoner also convinced his label, RCA, to sign Parton. Since female performers were not particularly popular in the late '60s, the label decided to protect their investment by releasing her first single as a duet with Wagoner. Their first single, "The Last Thing on My Mind," reached the country Top Ten early in 1968, launching a six-year streak of virtually uninterrupted Top Ten singles. Parton's first solo single, "Just Because I'm a Woman," was released in the summer of 1968 and was a moderate hit, reaching number 17. For the remainder of the decade, none of her solo efforts — even "In the Good Old Days (When Times Were Bad)," which would later become a standard — were as successful as her duets. The duo was named Vocal Group of the Year in 1968 by the Country Music Association, but Parton's solo records were continually ignored. Wagoner and Parton were both frustrated by her lack of solo success, because he had a significant financial stake in her future; as of 1969, he was her co-producer and owned nearly half of the publishing company Owepar.By 1970, both Parton and Wagoner had grown frustrated by her lack of solo success, and Porter had her sing Jimmie Rodgers' "Mule Skinner Blues (Blue Yodel No. 8)," a gimmick that worked. The record shot to number three on the charts, followed closely by her first number one single, "Joshua." For the next two years, she had a number of solo hits — including her signature song "Coat of Many Colors" (number four, 1971) — in addition to her duets. Though she had successful singles, none of them were blockbusters until "Jolene" reached number one in early 1974. Parton stopped traveling with Wagoner after its release, yet she continued to appear on television and sing duets with him until 1976.Once she left Wagoner, Parton's records became more eclectic and diverse, ranging from the ballad "I Will Always Love You" (number one, 1974) and the racy "The Bargain Store" (number one, 1975) to the crossover pop of "Here You Come Again" (number one, 1977), and the disco experiments of "Baby I'm Burning" (number 25 pop, 1978). From 1974 to 1980, she consistently charted in the country Top Ten, with no less than eight singles reaching number one. Parton had her own syndicated television show, Dolly, in 1976 and by the next year had gained the right to produce her own albums, which immediately resulted in diverse efforts like 1977's New Harvest...First Gathering. In addition to her own hits during the late '70s, many artists, from Rose Maddox and Kitty Wells to Olivia Newton-John, Emmylou Harris, and Linda Ronstadt, covered her songs, and her siblings Randy and Stella received recording contracts of their own.Though she was quite popular, Parton became a genuine superstar in 1977, when the Barry Mann/Cynthia Weil song "Here You Come Again" became a huge crossover hit, reaching number three on the pop charts, spending five weeks at the top of the country charts, and going gold. Its accompanying album went platinum and the follow-up, Heartbreaker, went gold. Soon, she was on the cover of country and mainstream publications alike. With the new financial windfall, a lawsuit against Wagoner — who had received a significant portion of her royalties — ensued. By the time it was settled, she regained her copyrights while Wagoner was given a nominal fee and the studio the duo shared. In the wake of the lawsuit, a delayed duet album, Making Plans, appeared in 1980; its title track hit number two on the country charts.Parton's commercial success continued to grow during 1980, as she had three number one hits in a row: the Donna Summer-written "Starting Over Again," "Old Flames (Can't Hold a Candle to You)," and "9 to 5." The latter was the theme song to Parton's acting debut, 9 to 5. Also starring Jane Fonda and Lily Tomlin, the movie became a huge success, establishing Parton as a movie star. The song became her first number one pop single, as well. 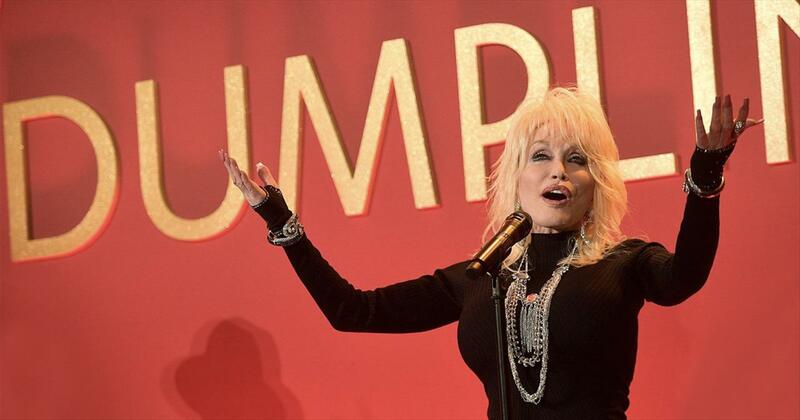 9 to 5 gave Parton's career momentum that lasted throughout the early '80s. She began appearing in more films, including the Burt Reynolds musical The Best Little Whorehouse in Texas (1982) and the Sylvester Stallone comedy Rhinestone (1984). Parton's singles continued to appear consistently in the country Top Ten: between 1981 and 1985, she had 12 Top Ten hits and half of those were number one singles. Parton continued to make inroads on the pop charts as well with a re-recorded version of "I Will Always Love You" from The Best Little Whorehouse in Texas scraping the Top 50 and her Kenny Rogers duet "Islands in the Stream" (which was written by the Bee Gees and produced by Barry Gibb) spending two weeks at number one.However, by 1985 many old-time fans had felt that Parton was spending too much time courting the mainstream. Most of her albums were dominated by the adult contemporary pop of songs like "Islands in the Stream," and it had been years since she had sung straightforward country. She also continued to explore new business and entertainment ventures such as her Dollywood theme park, which opened in 1985. Despite these misgivings, she had continued to chart well until 1986; when none of her singles reached the Top Ten. RCA Records didn't renew her contract after it expired that year, and she signed with Columbia in 1987. Before she released her Columbia debut, Parton joined forces with Linda Ronstadt and Emmylou Harris to record the rootsy Trio album. Trio became a huge hit, earning both critical and popular acclaim, selling over a million copies, and peaking at number six on the pop charts; it also spawned three Top Ten country singles: "To Know Him Is to Love Him," "Telling Me Lies," and "Those Memories of You." Following the success of the album, she had a weekly variety television show, Dolly, on ABC that lasted only one season. Trio also provided a perfect launching pad for her first Columbia album, 1989's White Limozeen, which produced two number one hits in "Why'd You Come in Here Lookin' Like That" and "Yellow Roses. "Though it looked like Parton's career had been revived, it was actually just a brief revival before contemporary country came along in the early '90s and pushed all veteran artists out of the charts. Parton had a number one duet with Ricky Van Shelton, "Rockin' Years," in 1991, but after that single, she slowly crept out of the Top Ten and later the Top 40. Parton was one of the most outspoken critics of radio's treatment of older stars. While her sales had declined, she didn't disappear. Despite her lack of sales, Parton remained an iconic figure in country music, appearing in films (the 1991 TV-movie Wild Texas Wind, 1992's Straight Talk), selling out concerts, and releasing a series of acclaimed albums — including 1993's Honky Tonk Angels, a collaboration with Tammy Wynette and Loretta Lynn — that all sold respectably. Furthermore, "I Will Always Love You" was covered in 1992 by Whitney Houston, who took it to number one on the pop charts; the single spent 14 weeks at number one, becoming the biggest pop hit of the rock & roll era (it was unseated four years later by Mariah Carey and Boyz II Men's "One Sweet Day"). In 1994, Parton published her autobiography, My Life and Other Unfinished Business. Treasures, her 1996 album, was a praised collection of unusual covers, ranging from Merle Haggard to Neil Young. Hungry Again followed in 1998, and early the following year she reunited with Ronstadt and Harris for a second Trio collection in addition to releasing the solo The Grass Is Blue. A rootsy effort, it was well received and prompted the release of more recordings like it on Little Sparrow in 2001 and Halos & Horns in 2002. The patriotic For God and Country appeared in 2003 and was followed by the CD and DVD Live and Well a year later. 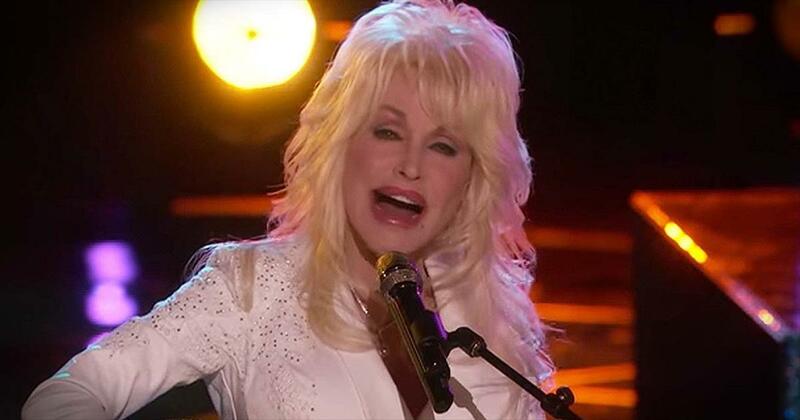 Those Were the Days from 2005 found Parton covering her favorite pop songs from the '60s and '70s. 2008 saw the release of Parton's first mainstream country album in nearly 20 years, Backwoods Barbie, on her own Dolly Records imprint. Live from London followed in 2009. An album of all Parton-written material, Better Day, appeared from Dolly Records in 2011, the 41st studio release of her long career. 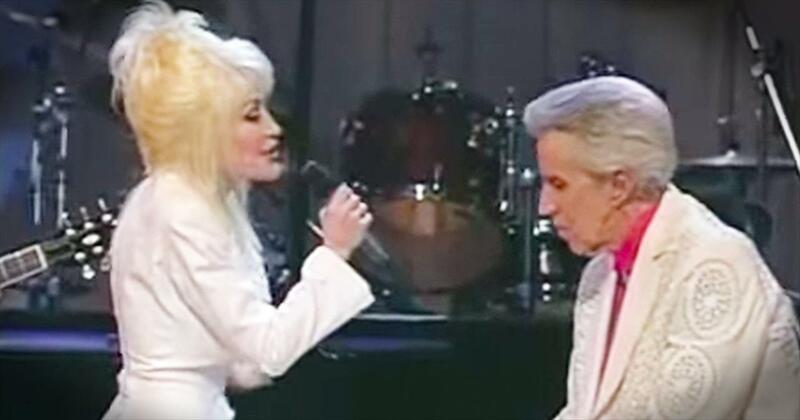 Dolly Parton sings "Jesus & Gravity"
What Do You Think About Loving? Dolly Parton fans are always overjoyed to hear her music in the mainstream Hollywood spotlight. “Here I Am” is a re-recording of Dolly’s song from 1971 and features Dolly and singer, Sia. The song is part of a soundtrack for a new Jennifer Aniston film ‘Dumplin’”. The Netflix original movie premieres December 17 and tells the story of a plus-sized Texas teenager (Danielle Macdonald), nicknamed Dumplin’ by her former beauty queen mother (Aniston). Adapted from the book by Julie Murphy, in which one of the characters adores Dolly Parton and her music with an opening line sharing that all the best moments in life “started with a Dolly Parton song.” Doing what Dolly has always done best, tell a story, the video for “Here I Am” follows several individuals as they receive a helping hand from others. It’s a beautiful reminder to be God’s hands and feet to bless others. The lyrics are simple but poignant. “Here I am, oh here I am, here I am If you need a love that's true Need someone to stand by you Here I am, oh here I am, here I am If you need a helping hand, need someone to understand Here I am, oh here I am, here I am” Dolly’s soundtrack releasing November 30, will feature six new songs as well as six re-recordings of popular Parton songs such as “Jolene” and “Here You Come Again”. In addition to artist Sia, the soundtrack will include talented musicians such as Miranda Lambert, Alison Krauss, and Elle King. There is even a cameo appearance by Jennifer Aniston herself. “Every song in the soundtrack is based on an emotion I felt while watching the movie,” Parton said. “I saw the movie and pictured her character going to the movies and how that big screen represents life. I pictured her without her Aunt Lucy, thinking about her dreams and her tears … I thought it would be a sweet little thing to write about.” In true Dolly fashion, we are sure this soundtrack will be a bit hit! Watch dolly parton music videos free online! Godtube.com also provides videos with dolly parton lyrics, singles, album information and reviews. Whether you're looking for an inspirational and encouraging song for your quiet time with God or an upbeat song to praise Jesus, Godtube.com offers the largest online database of Christian music artists!